Named after AME Zion Church Bishop and school founder James Walker Hood, Hood Seminary had humble beginnings as the Zion Wesley Institute. A move to Salisbury, NC in 1882 brought a new president (Joseph C. Price) and a new name, Livingstone College. In time, the college and seminary would become separate, and in 2001 the seminary assumed independent operations. A new campus and unprecedented growth marked the beginning of the 21st century and a new period of development for Hood Theological Seminary. Hood offers three academic degrees (two masters and one doctoral) - the MDiv, MTS, and DMin. Both the MDiv and MTS are offered in either Track I or Track II formats. Track I is the traditional program (two year for the MTS, three for the MDiv) and meets Tuesday, Wednesday, and Thursday. Track II classes are designed for working or commuting students and meet on Friday and Saturday. As you would expect, the track II programs take a bit longer to complete. 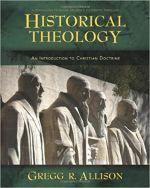 The seminary divides its courses into the following five areas: Biblical Studies, History of Christianity, Theology and Ethics, Religion and Society, and Pastoral Theology. Students in both master's-level programs have three components to their programs: basic courses, electives, and a research project. The DMin requires 35 credit hours, including a major research project. A relatively small seminary, HTS hopes that its faculty, students, and staff will engage each other in Christian community outside of the normal "work" of the school. This community is forged in many ways, including group participation in worship, which takes place Tuesday, Wednesday, Thursday, and Saturday. Opportunities for students to participate in worship are available, including either preaching or assisting in the liturgy. Of course, there is no better way to build community than by sharing a good meal, so Hood Seminary comes together for a common meal on Tuesdays through Thursdays from 12:10 pm - 1:00 pm. Further opportunities for fellowship include the Seminary Choir, the Student Government Association, and the Christian Educators Fellowship. 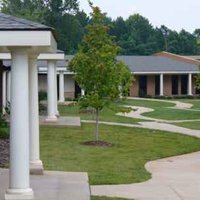 While a relatively small community, the Salisbury, NC area has much to offer seminary students. There is the Salisbury Symphonic Orchestra as well as a chamber ensemble devoted to Baroque music. Within a reasonably short drive there are a number of museums, regular musical performances, theaters, parks, lakes, local sports teams, and many historical outings. And for you Andy Griffith fans, you're only an hour away from Mt. Airy, Griffith's home town and inspiration for the town Mayberry. HTS offers numerous housing options for its students (currently 57 single and double rooms). The rooms all offer basic amenities such as microwave and refrigerator. Shared laundry facilities are also available. For students who elect to live off-campus, it's worth noting that the cost of living in Salisbury is incredibly affordable, particularly compared to other college (and seminary) towns. Through the generosity of its donors (particularly the AME Zion Church), the costs of attending HTS are far lower than they would be otherwise. In addition to subsidized tuition, students are eligible for further assistance based on both merit and need. The seminary awards grants-in-aid, tuition remission (based in part on employment at the Seminary), scholarships (based on merit), and government-sponsored student loans. Specific prizes based on merit are also distributed each year.